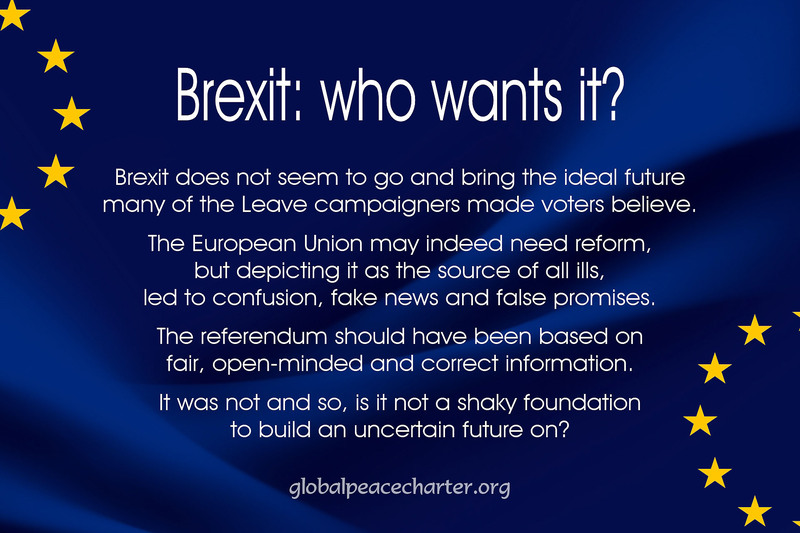 PrevBrexit – exit to what? Brexit does not seem to go and bring the ideal future many of the Leave campaigners made voters believe. The European Union may indeed need reform, but depicting it as the source of all ills, led to confusion, fake news and false promises. The referendum should have been based on fair, open-minded and correct information. It was not and so, is it not a shaky foundation to build an uncertain future on?